Surfaces: You'll get the clearest image on smooth, porous surfaces like computer paper, matte card stock, matte label paper, and envelopes, but this can also be used on fabric and ribbon. Pros: The surface of this stamp pad is firm, so you can easily control how much ink gets on the stamp. Drying time is pretty quick. This is an excellent pad for beginners. Pros: The surface of this stamp pad is also firm, which makes stamping easy and quick. It produces a clear, dark image on muslin (cotton) bags. This is THE darkest black ink I've ever used. Cons: The stamp pad is a little sticky and for some reason I always get ink on myself when I use it. This isn't a big deal, but don't use this wearing an expensive white suit. Tip: If you want to keep your stamp clean, I recommend washing it after each use. Surfaces: You can use this on a wide variety of surfaces, including card stock, label paper, envelopes, fabric, ribbon, and wood. Pros: I love this stamp pad for its versatility and how well it shows up on dark paper. Cons: As with most pigment inks, the pad is soft and squishy. This makes your stamp a bit messy, but shouldn't bother you if you don't have OCD. Give this ink a tad more time to dry. Tip: Pressing too hard or over-inking your stamp will create a faint "outline" around your image. Surfaces: You can use this on a wide variety of surfaces, including card stock, label paper, envelopes, and wood. 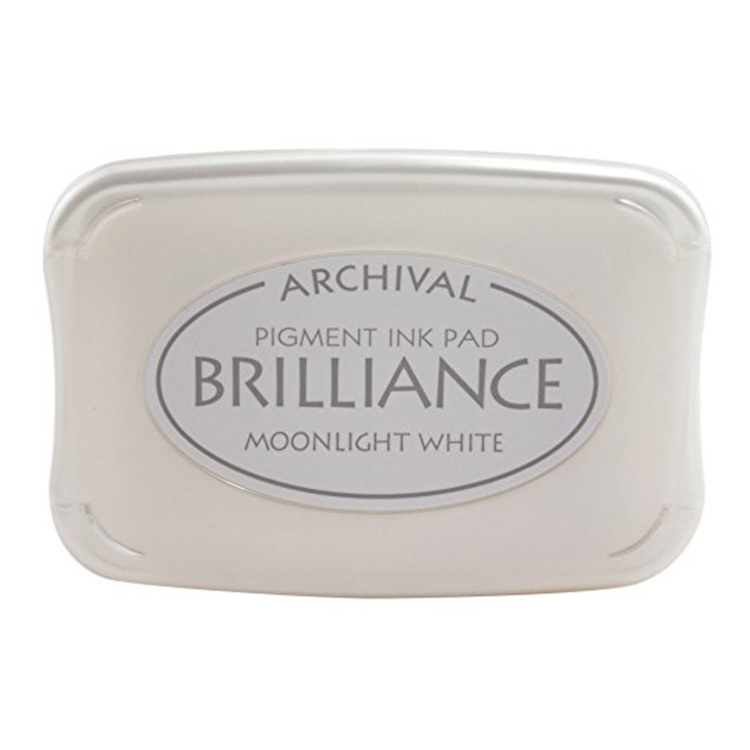 Pros: Used with gold embossing powder, this ink looks great on both light and dark papers. This water-based formula ink without heat yet stays wet long enough to emboss. Cons: Don't expect a sparkly gold without special embossing powder. Tip: I use Gold Super Fine Detail Embossing Powder with this and it works like a charm. Surfaces: You can use this on the widest variety of surfaces, including watercolor paper, card stock (matte, glossy, and textured), label paper, envelopes, fabric, ribbon, and wood. Pros: You can find this brand at practically every craft store imaginable. It works wonderfully on watercolor paper and wood. Cons: As with most pigment inks, the pad is soft and squishy. This makes your stamp a bit messy, but shouldn't bother you if you don't have OCD. Give this ink a tad more time to dry. The opacity of the ink varies from color to color. These won't harm your stamps, but they will give them a color tint that won't wash off. For anything BUT plain paper or card stock, try these inks! Post-It Roll Tape works best because it has a matte finish and dries quickly. Masking tape works well too, but your stamp impression will not be quite as clear because of the slightly waxy finish. I've discovered that the dye ink slooowly bleeds on cotton tape, so I may need to try a pigment ink on that one. 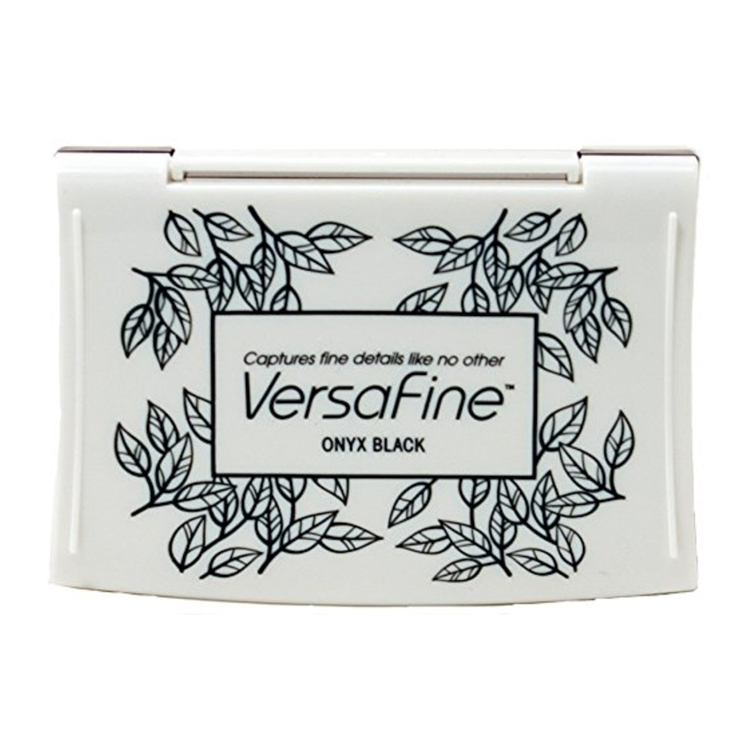 My favorite stamp pad for muslin bags is VersaFine. See how crisp and clear the impression is? I love it!